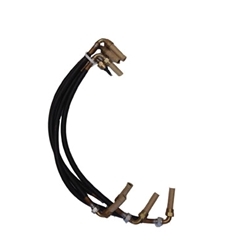 Ignition cable set, with correct 90 deg elbows at each end with break nut. M38 JEEP IGNITION WIRE SET CORRECT DOUBLE 90 DEG NOW WO-801111. These are NOS and all 18 inch length.